I live in the nose of Chiba-kun, the dog mascot that represents Chiba Prefecture. Historically, the city depended on soy bean and edamame production, and river trade. Edamame is the Japanese term for immature soy beans. They are often blanched and served with a bit of salt, and widely available in Japan's restaurants and supermarkets. 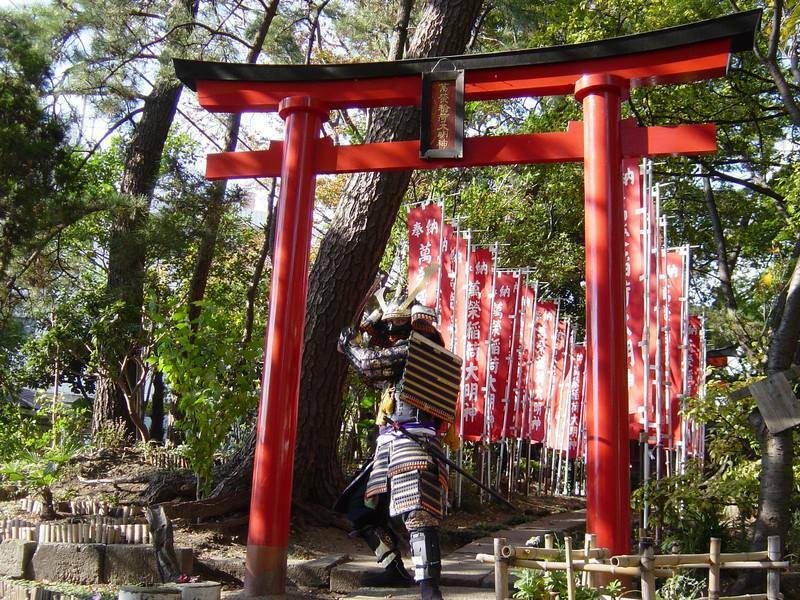 Noda City's river trade brought sake, mirin, soy beans in many forms, and soy sauce to Tokyo. But, as train transport and manufacturing have developed, and farmers have aged, this kind of trade is gradually diminishing. The city is still a center for soy sauce production. Kikkoman and Kinoene, major producers of soy based foods, continue to be key players in the local economy. Local restaurants, merchants and community leaders are doing their best to help preserve the local production and manufacture of soy-based products. They produce novelty sweets and drinks that use the local produce. One of my favorite ramen shops serves as desert edamame ice cream. It's earthy and sweet and has a lovely texture. Menya Momiji near Kawama Station east exit serves hearty ramen and tsukemen. 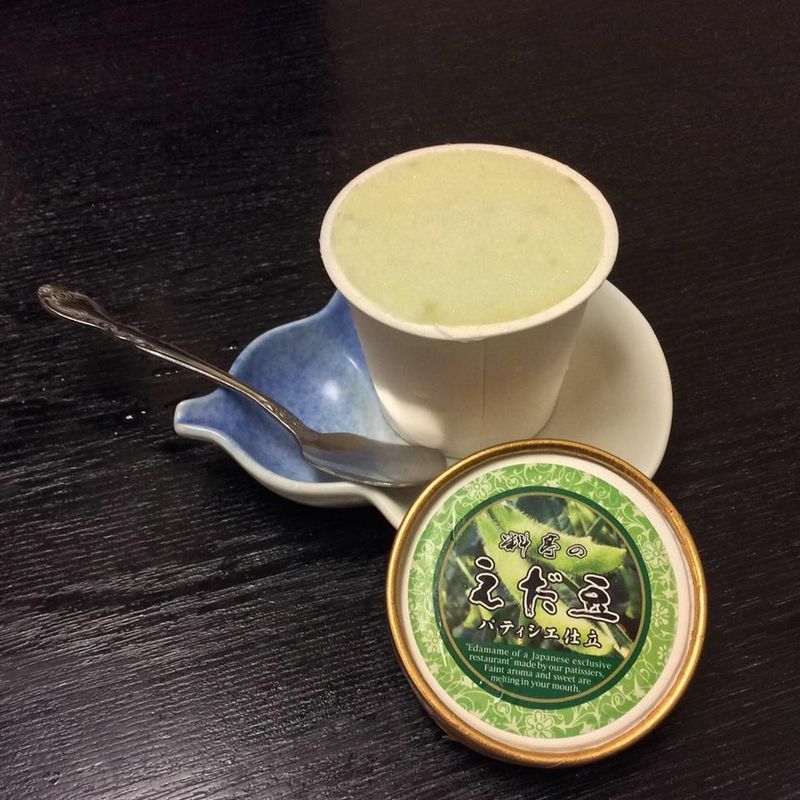 This is the rich ice cream with edamame flavor they serve. The flavor is subtle, but distinctly edamame. At the supermarket in front of Atago Station, you can find some soy-flavored treats. 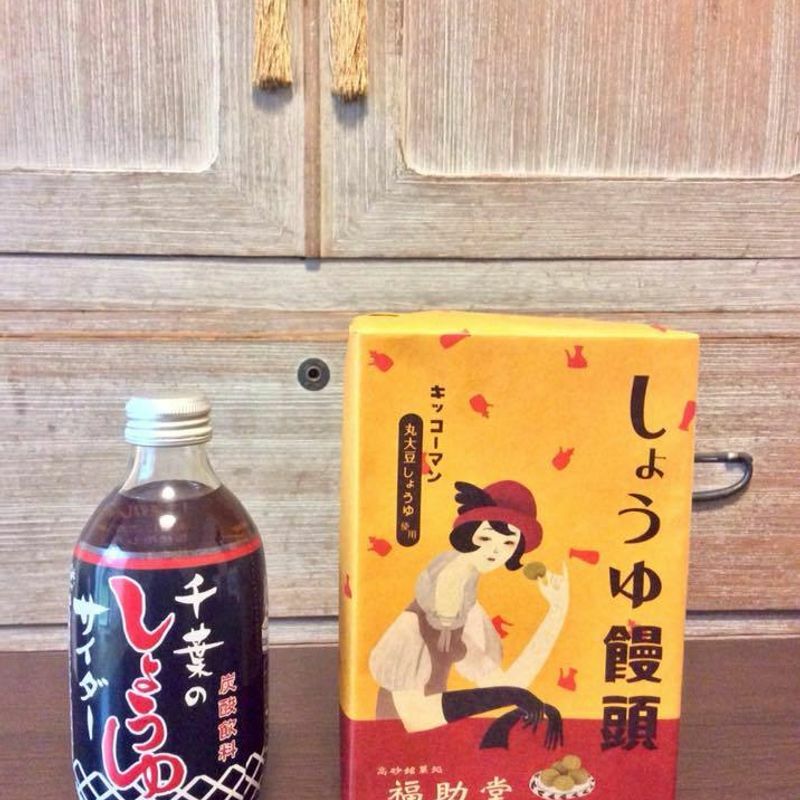 The packaging for momiji manju sweets and shouyu, soy, cider, is wonderfully retro. But I must caution you. Edamame cider is something you only drink on a dare. Let's be nice and say it tastes earthy. Your line about the edamame cider made me chuckle! That bad, eh? @Tomuu Edamame cider tastes like...dirt. 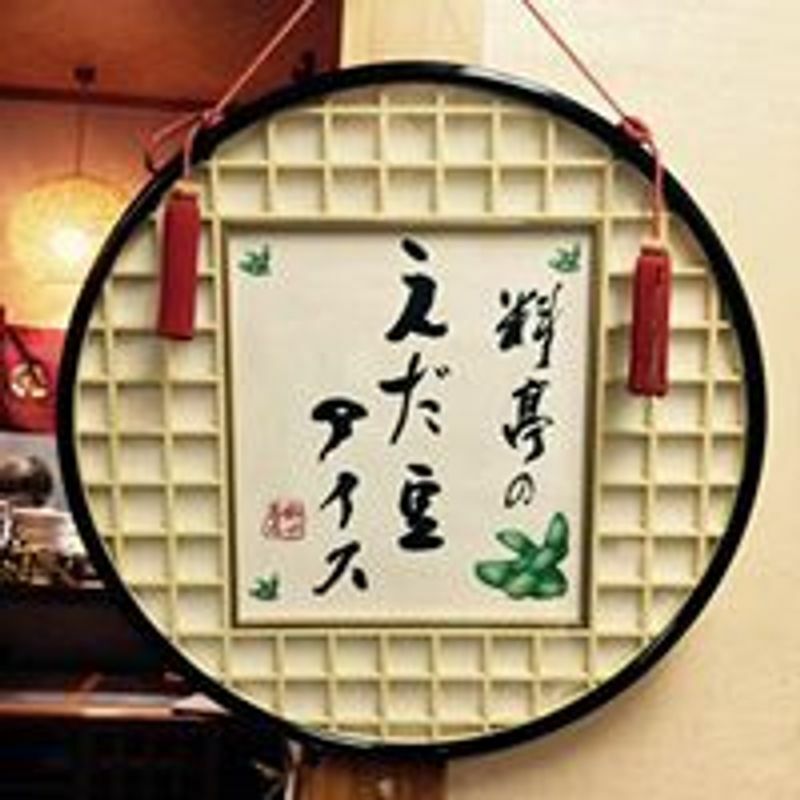 Shoyu cider and shoyu manju are malty and pleasant. I recommend trying them. @TonetoEdo I'll bear that in mind. 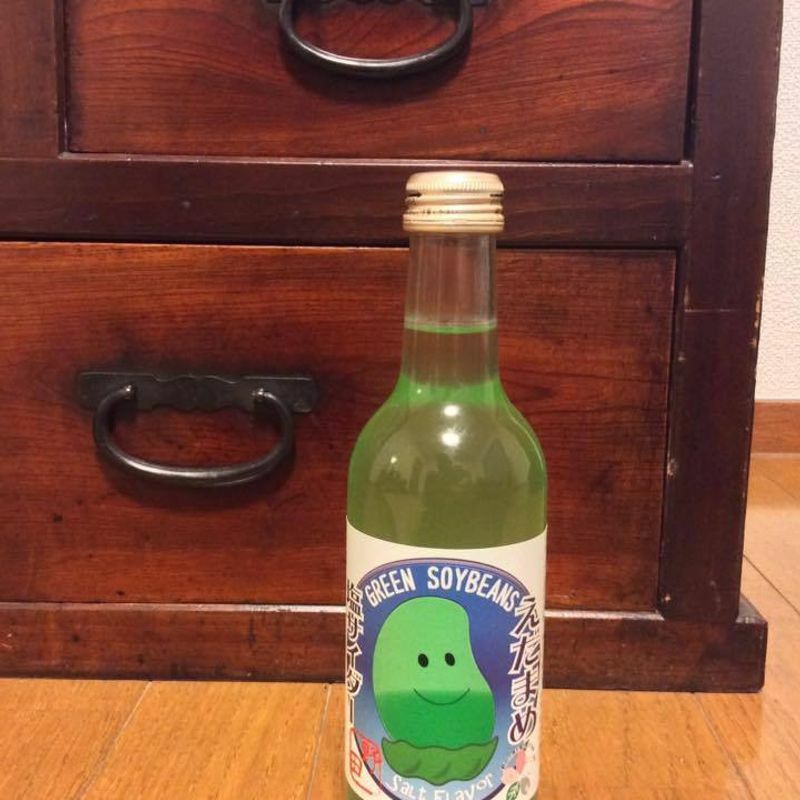 I can't say the idea of edamame cider appeals anyway!